Spinal Decompression is a non-surgical, traction based treatment outcomes for herniated or bulging discs in the neck and low back. In almost all cases, the treatments are completely painless. In fact, some people fall asleep during the spinal decompression session. The number of sessions needed and your specific treatment plan will be determined by the doctor after your examination. Spinal decompression has saved many people from spinal surgery. 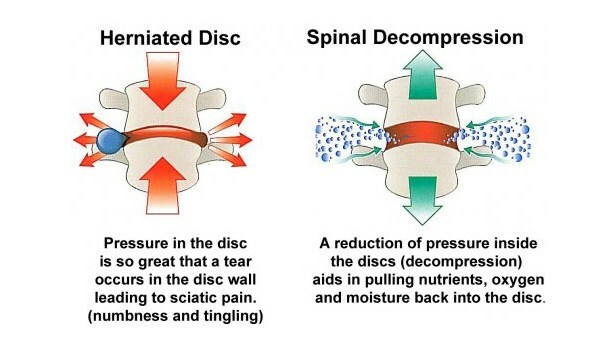 If you are suffering from a degenerated or herniated disc, don’t risk surgery until you have explored safe and effective spinal decompression!